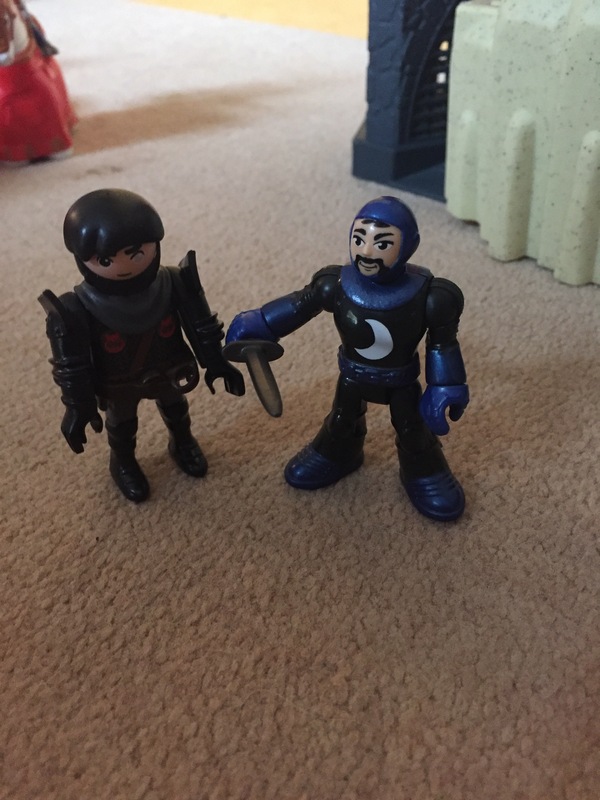 My 5 year old son got the Imaginext Catle for Christmas, along with some of the extra accessory packs. The unpacking as a bit difficult, lots of bits of plastic and scissors needed, I would recommend opening the pack before wrapping it up, the kids wanted to play with it straight away and it took ages to open! The castle comes with batteries already in it, you don’t need the batteries to play with it but it’s more fun for the kids with the flashy lights and scary noises. The back of the castle is full of steps and rooms with trap doors and a jail too. 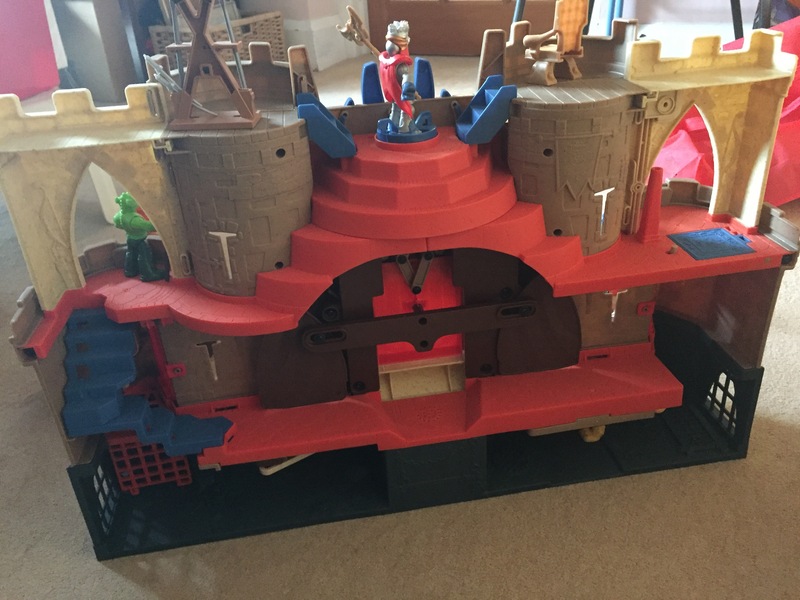 The castle is suitable from a 3-8 years, there are small pieces so it really isn’t suitable for younger children. 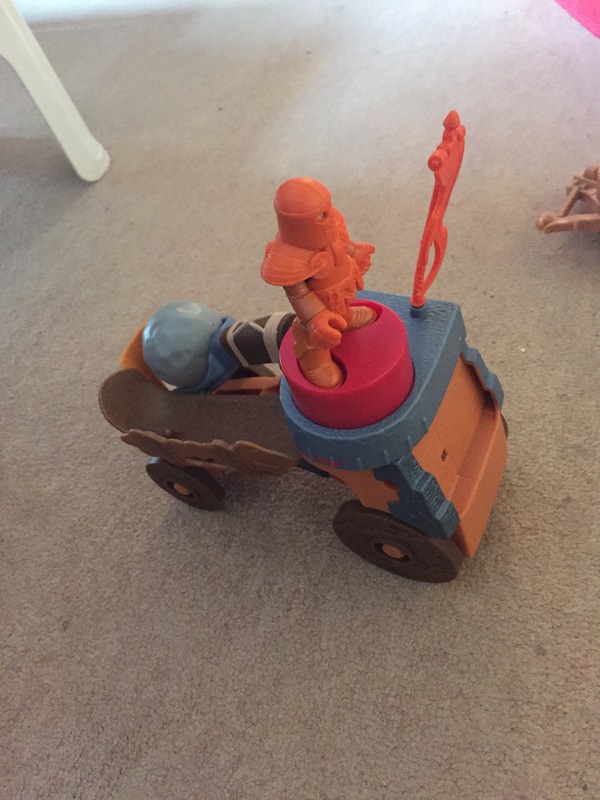 My children are 5 and 8 and they both love this, they play together for hours with this. 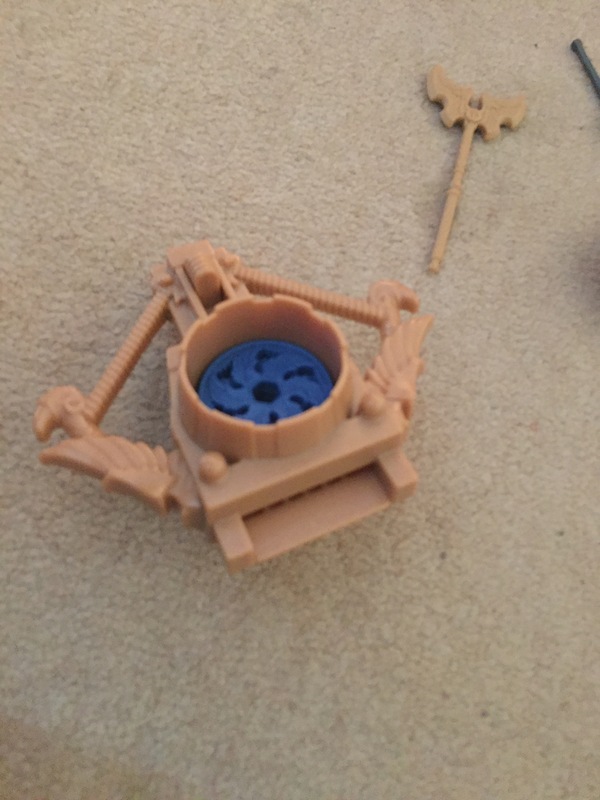 It comes with the castle itself; 2 knights, a goblin, a lion and a disc throwing crossbow, along with various accessories. 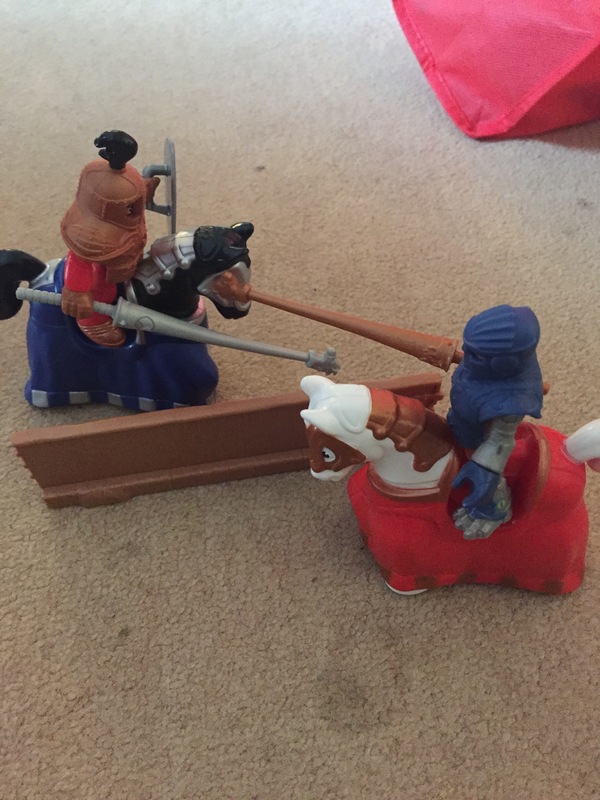 And a few of the playmobil knights sets, which are exactly the correct size to be used with the castle. Which means the pack can be extended easily. We would have happily bought it at £50, but at half price was an absolute steal. The children love it and it’s very resilient and not breakable at all, I would completely recommend for boys or girls aged anything from 3 to 8 years old.